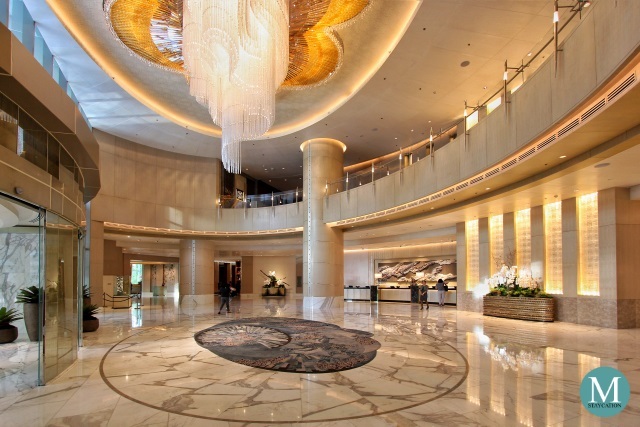 The Manila Pavilion Hotel is a 486-room first class hotel located right at the middle of Manila's tourism, commercial and entertainment centers. 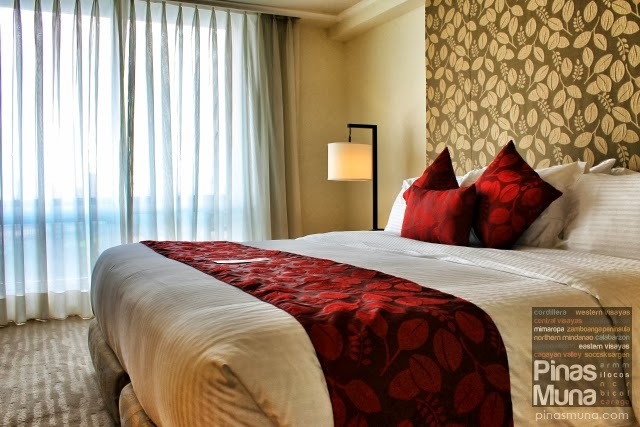 Owned and managed by the Waterfront Philippines Inc, the hotel features rooms with bright colors and functional furnishings, creating a modern and elegant feel into its interiors. Originally built in 1968, this pioneering hotel witnessed some of the most glamorous events and social gatherings in Metro Manila. 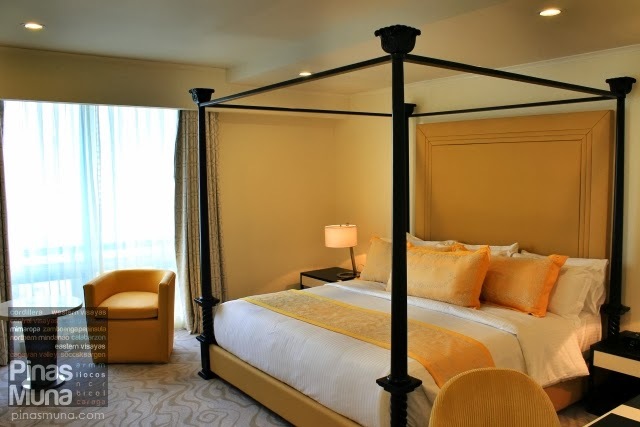 In the recent years, it has undergone a series of change in ownership and re-branding until just recently, in March 2013, Manila Pavilion Hotel completed a P500M renovation of its upper floor rooms designed by the internationally-renowned interior designer Sonia Santiago-Olivares. We stayed in one of the hotel's 146 Deluxe Rooms located on the 18th floor. With twin beds, coffee table and chairs, a work station, a refrigerator and mini-bar, there is still enough space inside the room to move around. 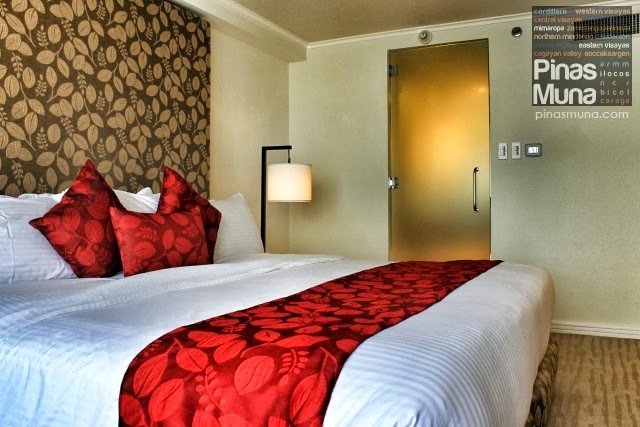 The room is well-lighted and is equipped with individually controlled central air conditioning and a 40-inch flat screen LED TV with cable television features. WiFi Internet access is available in all floors. 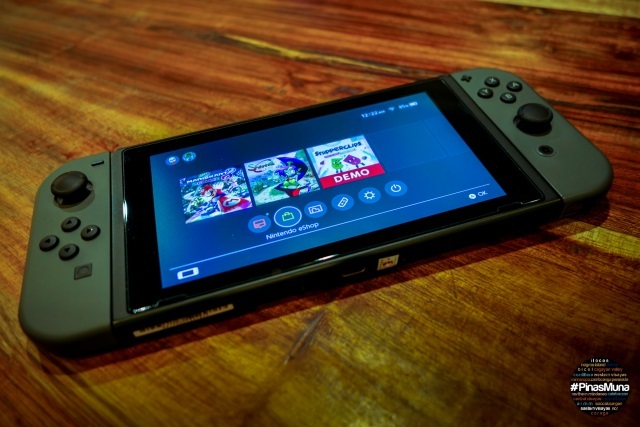 There's also enough power socket to charge your laptop, mobile phone and other other gadgets. Having a day-job on weekdays and traveling out of town on weekends, having a relaxing sleep to recharge our tired bodies has become a necessity for us. The comfortable beds in our room was indeed a welcoming treat for this very much needed staycation in Manila. The fresh and elegant fragrance of the pillows, the bed sheets and the comforter also added to the relaxing experience. We also liked the work station inside the room. The table was spacious and the chair was very comfortable. There's a desk lamp so you can continue working at night without having to keep all the lights inside the room on. We were able to write a couple of blogposts during our stay, thanks to the free WiFi Internet access. 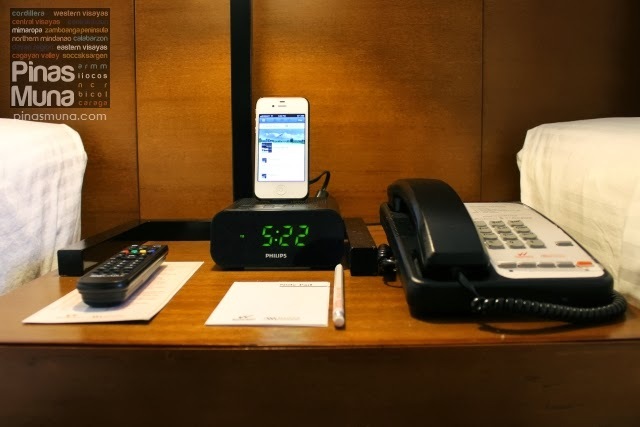 The iPhone/iPod dock also allowed us to play our favorite music inside the room. From the latest top hits to old school songs from the 90's, from Kundiman songs to traditional Erhu music, and from Classical music to Zen tunes, we were able to customize the mood inside our room. Just like the room, the bathroom is also spacious. The light color of the wall is contrasted by the granite bathroom countertop and accentuated by a colorful print. The floor is spotless. A glass panel separates the toilet from the shower area. We also enjoyed the rain shower. There's hot and cold shower and the water pressure was strong. 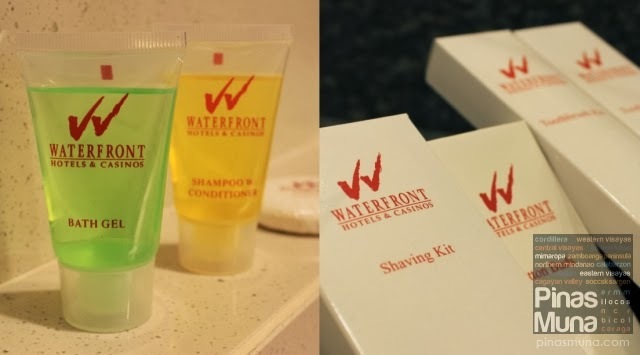 In addition to the soap, bath gel and the shampoo, guests are also provided with dental kits and a shaving kit. Towels are fresh and clean. 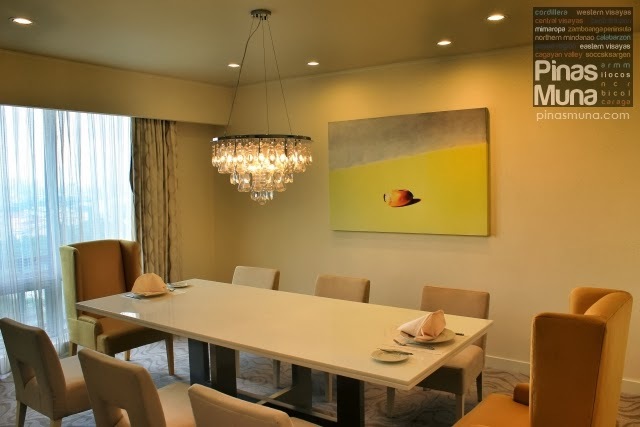 Manila Pavilion Hotel also features restaurants and cafes offering local and international cuisine. 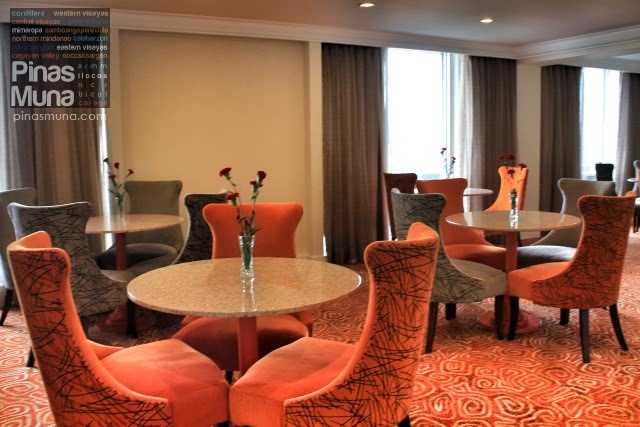 Seasons restaurant, located on the ground floor, serves buffet breakfast, buffet lunch and buffet dinner, as well as a la carte dining. 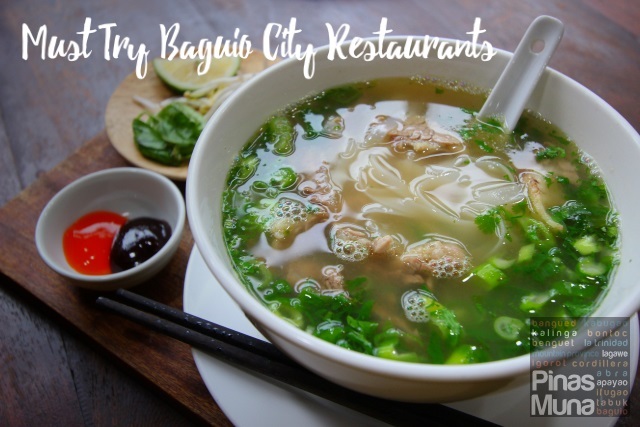 The restaurant serves Filipino, Asian and Western cuisine in a space that can accommodate 150 guests. 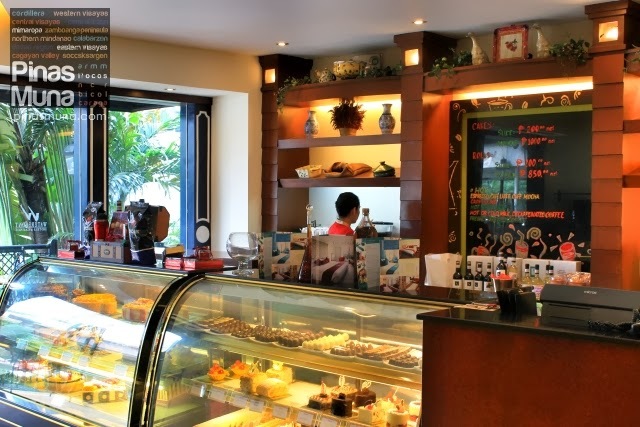 The Patisserie on the other hand is a cafe serving pastries and deli items, as well as coffee and non-coffee based beverages. also located on the ground floor, the cafe is open from 6:00am until 12:00 midnight daily. 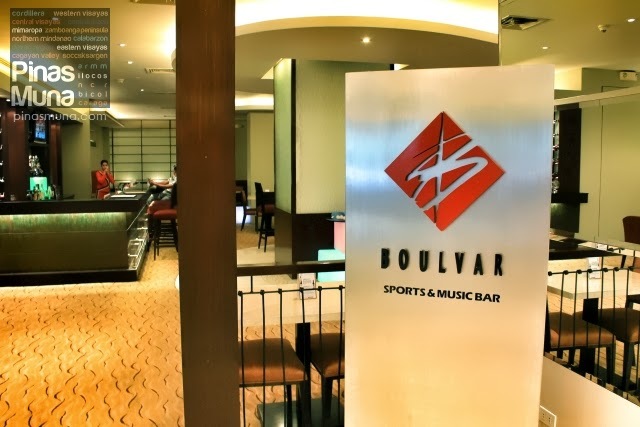 Another restaurant on the ground floor is the Boulvar Sports & Music Bar. The resto-bar serves international dishes and hosts nightly live music performances. The bar features a wide selection of premium and international wine, liquor and beer brands. 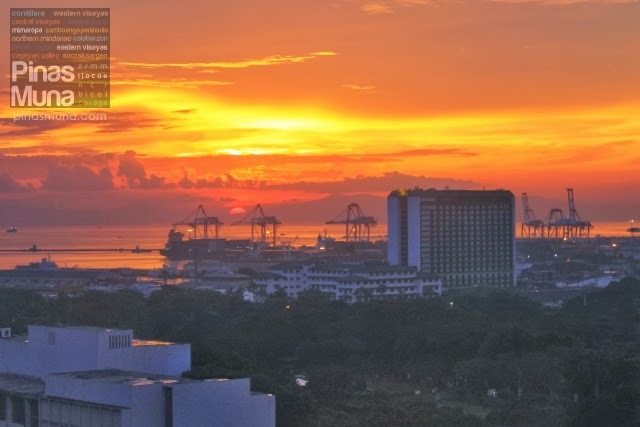 One of the highlights of our stay was the view of the Manila cityscape from our room. At the foreground stands the building of the Department of Tourism. In the middle stands Luneta Park with the Lapu-Lapu Monument standing tall and proud. 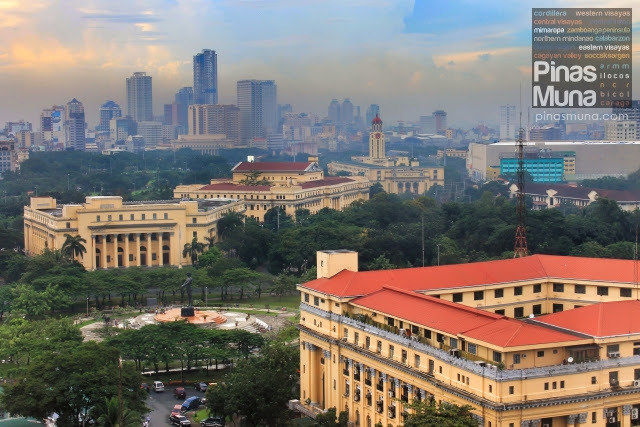 At the background (L-R) are the Museum of the Filipino People, the National Museum and the Manila City Hall with its iconic clock tower. Behind the background is the commercial district of Binondo with its towering skyscrapers. During our stay, we were also given a tour around the hotel to see how much renovation work has been made in the property. From the 18th floor, we went up to the 21st floor where the Ambassador Club Lounge is located. 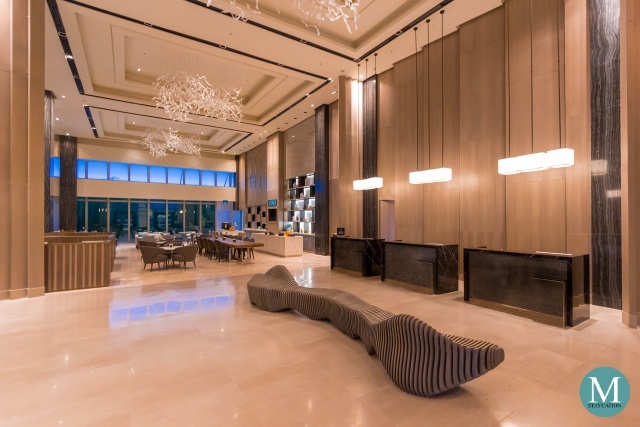 The lounge is for the exclusive use of the guests checked-in on the 21st floor, as well as the Presidential and Executive Suites guests. Complimentary breakfast buffets, beverages and cocktails are served in the dining area with a capacity of 22 guests. 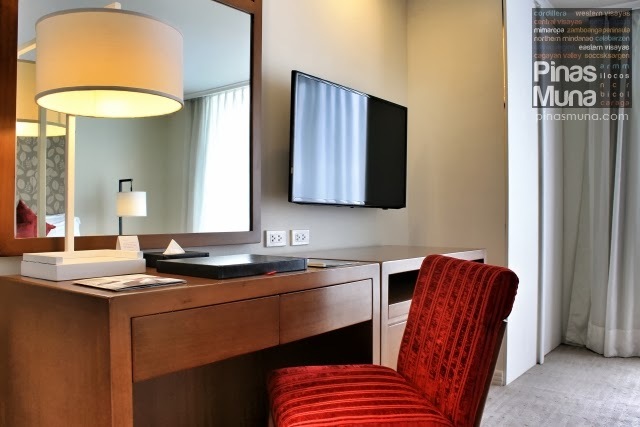 Located on the 21st floor are the hotel's Ambassador Rooms and Suites. The units have spacious bedrooms with elegant color themes of reds and browns. The living room as well as the dining area are separated from the bedroom. The private bathroom is equipped with a bath tub. From the 21st floor, we went down to the 20th floor to view the Presidential Suite named after the late Senator Benigno "Ninoy" Aquino Jr, the Aquino Suite. 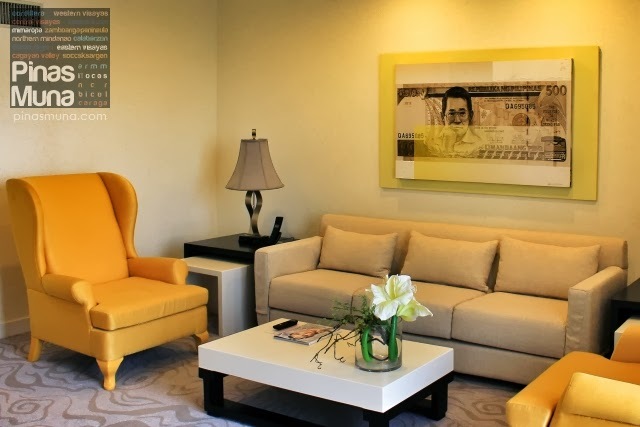 Yellow is the main color theme of the suite, the color symbolizing the former senator and the people power revolution. We were really impressed by this room! It is really a room designed for the most influential personalities, truly a room fit for a president. Overall, we had a pleasant weekend staycation at the Manila Pavilion Hotel. 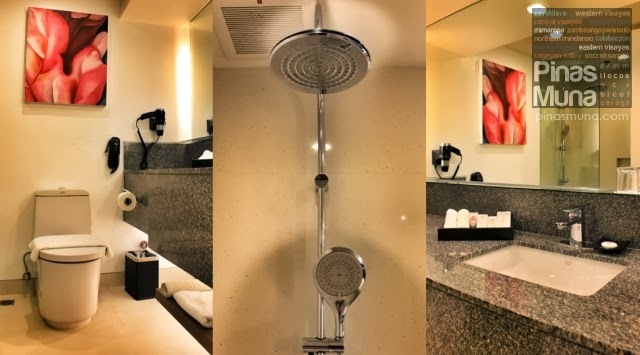 The hotel provided relaxation and comfort with all the modern amenities available at our disposal. 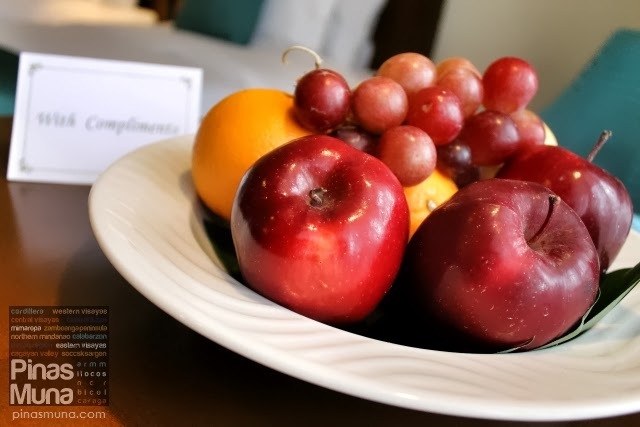 The hotel also has a wide selection of dining establishments serving both local and international cuisine. 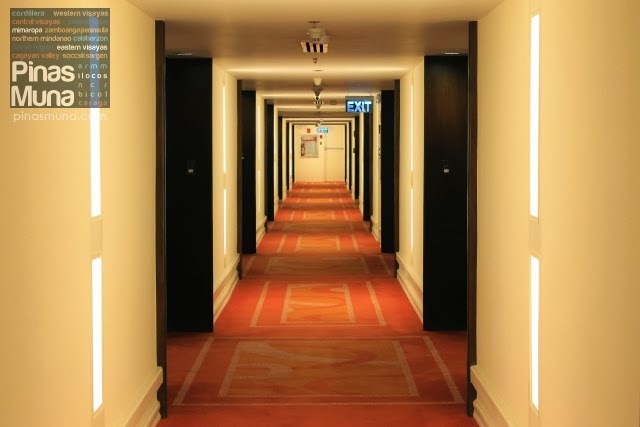 The hotel also offers strategic location and accessibility. 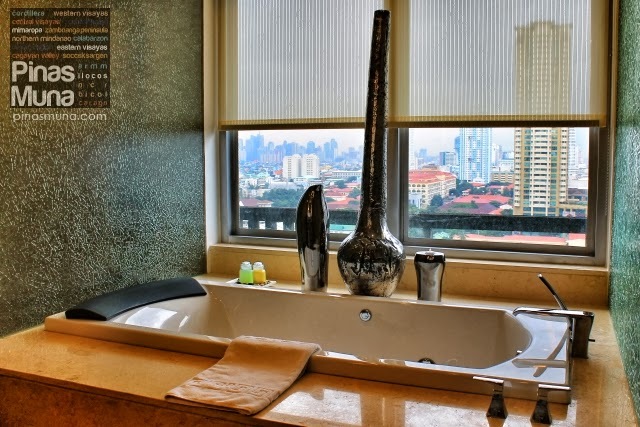 Manila Pavilion Hotel is the ideal accommodation for foreign and local tourists who wish to explore Manila's cultural and historical landmarks such as Intramuros and Luneta. 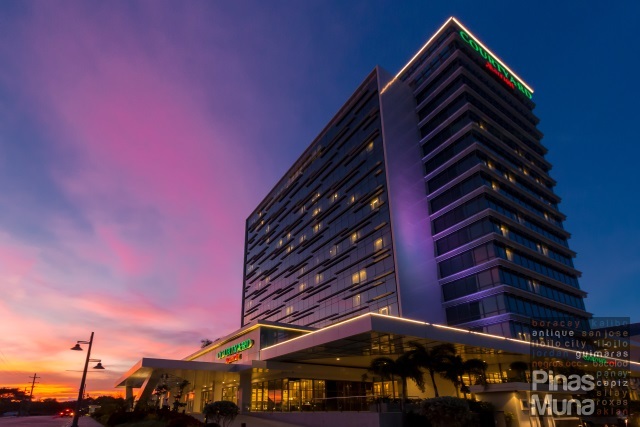 The hotel is also ideal for leisure travelers with entertainment and retail centers easily accessible from the hotel such as the Manila Ocean Park, the Cultural Center of the Philippines and a number of shopping malls in the area. 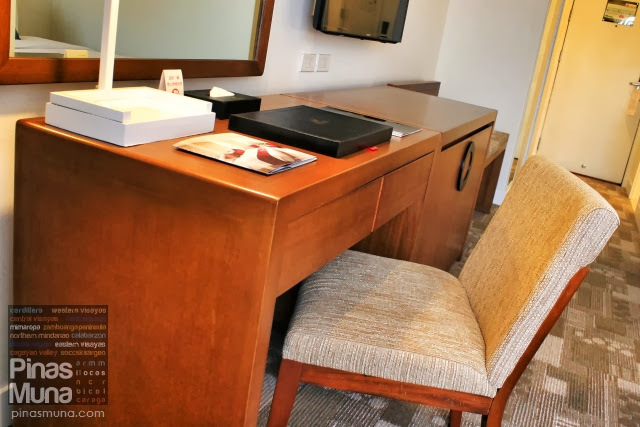 Lastly, Manila Pavilion Hotel is also ideal for business travelers participating in various conventions hosted in Manila such as the SMX Convention Center, the World Trade Center Metro Manila, and the Philippine International Convention Center. 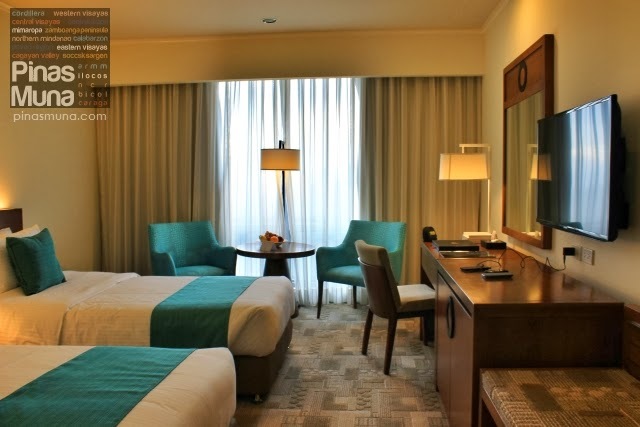 Many thanks to Manila Pavilion Hotel for hosting us last September 2013 for a weekend staycation in Manila. The Manila Pavilion Hotel is located at United Nations Avenue corner Maria Orosa Street, Manila City. 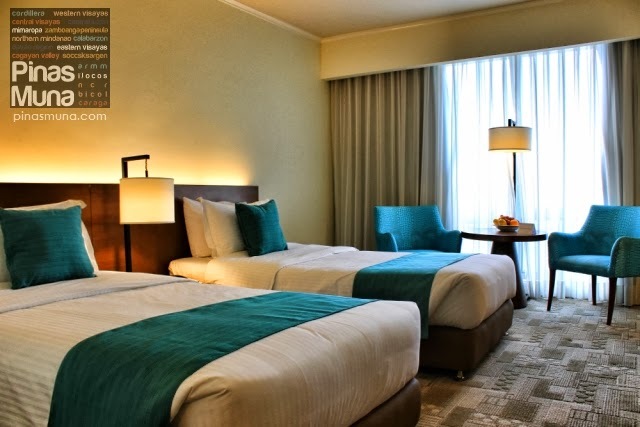 For swift bookings in any of the Waterfront’s five hotels: Waterfront Cebu City Hotel and Casino, Waterfront Airport Hotel and Casino, Waterfront Insular Hotel Davao, Manila Pavilion Hotel and G Hotel by Waterfront, you may reach Waterfront hotels by dialing 1-800-10WFRONT8 (1-800-109376688). 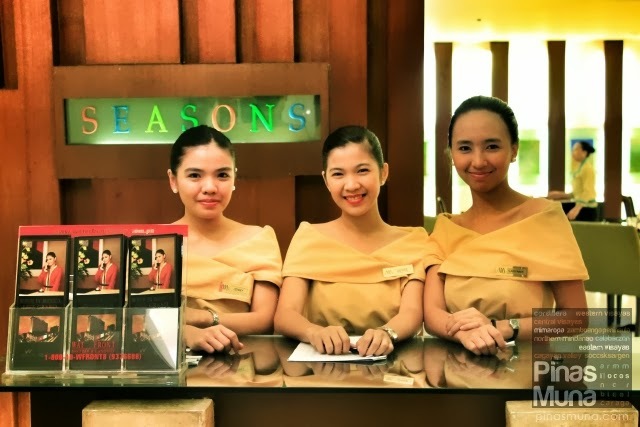 For online bookings, please log on at www.waterfronthotels.com.ph. Like them on Facebook or follow them on Twitter @WaterfrontMNL for regular updates.